Oh, so you think I am exaggerating about the “Nicest guy in tech” title? Then you have not met Amir. The guy is just plain awesome. 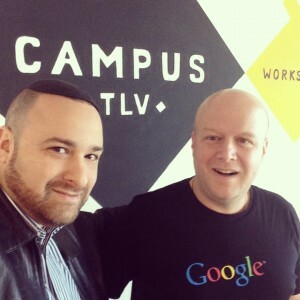 Now that I got that out of the way, Amir plays a central role in the activities of Google Israel. And let there be no mistake about it, Google Israel plays a central role in the global scope of what Google accomplishes daily. In fact, I was shocked to discover just how much of Google’s core offering was and continues to be developed here in Israel. Here are my ten questions for amir and his responses. I hope you enjoy as much as I did. You can follow Amir on Google+ here or on Twitter here. 1: Who is Amir Shevat? Please tell me a little bit about your background both personal and professional. For the last two years I’ve been working as a Developer Relations Program Manager at Google, helping developers and startups use open source, open web & mobile, and Google technologies. Before joining Google, I worked at Microsoft, Comverse, and was in the founding team of startups such as Coridan and I-Pace. 2: So let’s just get this out of the way since it is in everyone’s mind. Is working at Google as awesome as it seems? Please elaborate. Well, yes – it is. It’s amazing to work with incredibly smart & committed people who are passionate about the internet and all that it has to offer. But, more importantly, it’s hugely exciting to work at a company that truly puts the user first and creates so many opportunities for developers and entrepreneurs of all kinds to use open-source technologies to push boundaries even further and create great products and services for internet users. It’s a cliche, I know, but we also try to have a lot of fun while doing what we do. 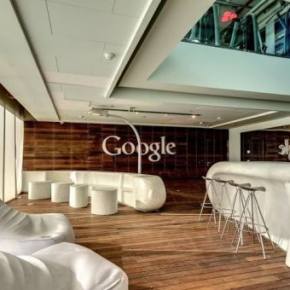 3: Everyone knows that Israel is Startup Nation, but how important is Google Israel in the big picture of Google as a leading company in the world of innovation. Israel is a global leader in terms of technological know-how, and our teams in Israel play a major role in Google’s overall development. The engineers at our Israel R&D Center play an important part in many of our major product areas, including ‘Search’, and our engineers have been responsible for a number of key products which Google has launched to hundreds of millions of users around the world. In pretty much every area of work, we’re part of global teams which gives us the opportunity of learning from international colleagues and, on many occasions, helping them replicate and build on some of the great things that we’ve been able to do in Israel. 4: Tell me about Google’s new campus, the idea, the design, and the goal of its existence. Campus Tel Aviv is a hub for entrepreneurs and developers. We offer a space for developers and entrepreneurs to attend and organize events with speakers, mentors and other entrepreneurs; a “hack space” and device library to develop and test new ideas; and “Google Launchpad”, a two-week ‘boot camp’ for early stage start-ups helping with subjects including user interface, product strategy & technology, marketing, business development and more. We’re really excited about this initiative, and the feedback that we’ve had so far from start-ups and our partners for this project has been really positive. 5: As the person responsible for developers, what do you see is the main incentive for developers to come on board the Google ship, whether it is Android, or something else? The story of Google’s developer platform is a story of the Internet and of Mobile. Developers realize the power of the Internet and mobile – they understand that in order to be successful they need to leverage the potential of these platforms. Google provides developers with infrastructure and tools such as Android, Chrome, App Engine, Maps and more so that they can do more and succeed more, using open technologies. 6: As everyone knows, Google, unlike many other companies, does not focus on one product but rather branches out to many industries, some completely off the main path. These include cars, glasses, etc. How do you explain that? What is in it for Google? I think it’s best explained by our constant search for innovation and our efforts to try to think not just one or two steps ahead, but ten steps ahead. When Google acquired YouTube back in 2006, some people said we were crazy to get into the online video space, and now we can see how huge online video has become, with YouTube as a major player. The same can be said for Android. We don’t always get it right, and there’s tonnes more to be done. But there’s so much that technology has to offer in terms of addressing challenges in society, and we’re hugely excited about the potential of new developments. 7: Tell me more about the Tel Aviv campus and its recent and future activities. Campus is always buzzing with activities, We’re currently hosting startups from the Junction and the Zell entrepreneurship program. Next week we have a 2-day event with members of the Google Android team who’re coming to Israel. People are using Campus in a ‘self-service’ way via the Campus Tel Aviv website, and there’s a bunch of interesting activities coming up. 8: Talk to me about mobile. While you might not want to directly address competitors, do you think mobile is at a state that new players can no longer make a dent/comeback? Does BlackBerry/Windows Phone stand a chance against iOS and Android? I don’t think it’s right for me to comment on the different players in the market. But I will say that there’s some amazing innovation going on in the mobile space and the competition to innovate is intense which, ultimately, is really good news for the mobile user. Mobile is more than just a fad, it’s the future and it’s already here, whether we’re talking about ‘search’, maps, consumption of video or other content, and much, much more. I’m sure there’s much more to come from all of the players and the next few years will be incredibly exciting. 9: What is the most exciting thing you have worked on at Google? Google is an amazing company to work at – I’ve had the privilege of working on exciting projects both globally and in Israel. The most exciting global project was leading the Google Developer Expert program in which we created a community of highly trained experts worldwide, those experts help grow and teach local developer communities. The most exciting project I’ve been involved with in Israel is Campus Tel Aviv – such a great project because you see the impact of what you’re doing with the entrepreneurship community in Israel and its connection to other projects initiated by Google around the world to support developers and entrepreneurs. 10: What is the most innovative technology that you think will shape the next decade? I think screens will become different. In just the last couple of years we’ve seen the mobile revolution enter a new stage, and tablets taking off, and I think there’s a lot more innovation just around the corner, whether it’s glasses or other ‘wearables’, or even screens in the form of car windshields or house windows. I think self-driving cars have the potential to change the quality of life for many people. And I think that 3D printing will change the way we innovate in tangible things. ← Stop Saying it’s Too Late for BlackBerry and Microsoft. It’s Too Early to be Too Late!